I decided to try something i've never tried before, and make a pixel-y edit to a real life picture. 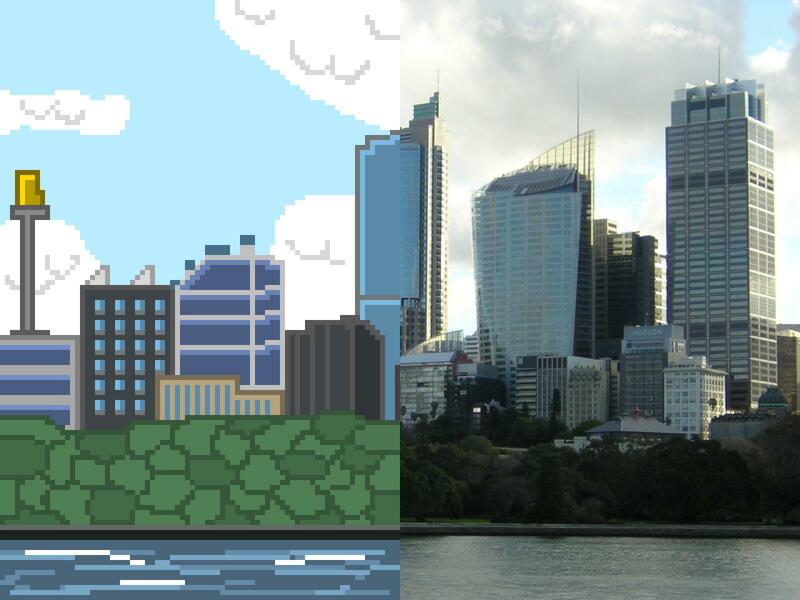 So I went and found a picture of a city online resized it, pixelized it, and stretched onto the full image. Hi, I run the Pixel Association with my very trusted partner Zitzabis. I'm always open to feedback or help, I'll try get back ASAP.